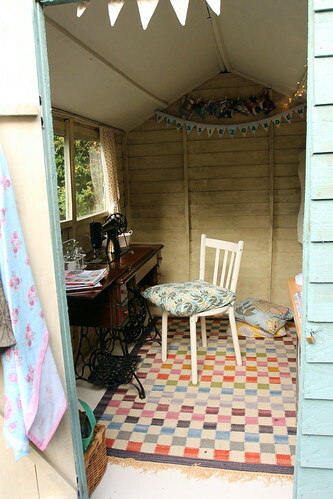 I got up at 6am this morning to finish painting the floor of the shed. The chickens were rather bemused by my early morning diy, and it seems so was one of the local cats because at 9am I found little paw prints across the floor when I went back to finish off the second coat! The floor was dry enough by late afternoon to start moving in! 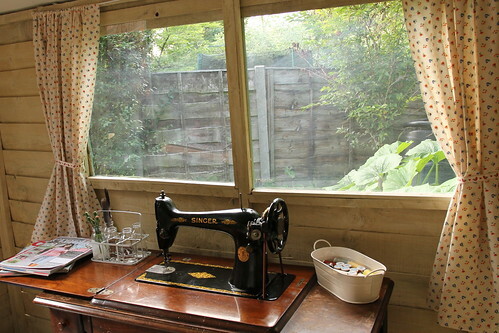 I've moved my beautiful Singer treadle in. I still intend to paint the table top, maybe I'll get that done this week. 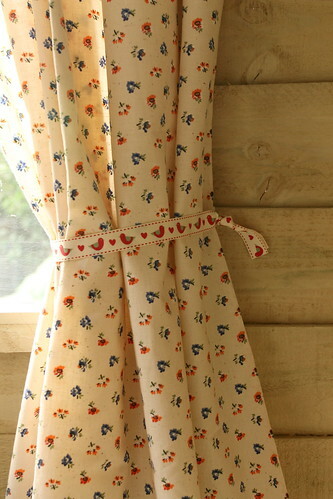 I ran up some simple curtains in some pretty cotton I'd bought in a charity shop a few months ago, using ribbon as tie backs. 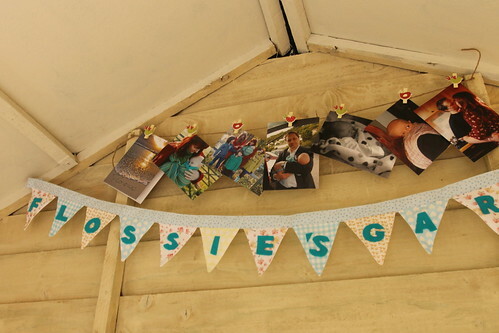 I've hung bunting and fairy lights and a few photos too. I'm going to be on the lookout for a little shelving unit or cabinet in my local charity shops, something to house the inevitable bits and pieces that will accumulate. This weekend it's project "sort out the power and security". Oh yes and buy a kettle! Jeanette you are just too cute. It looks great! I can't wait to see it properly! 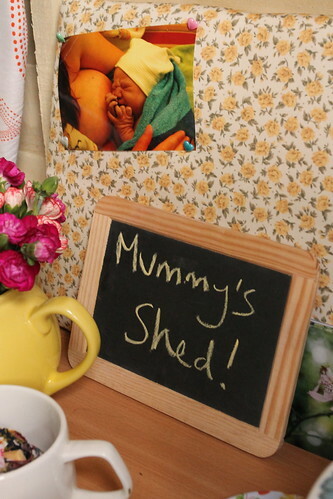 It's perfectly charming and who wouldn't want to drop by for tea? 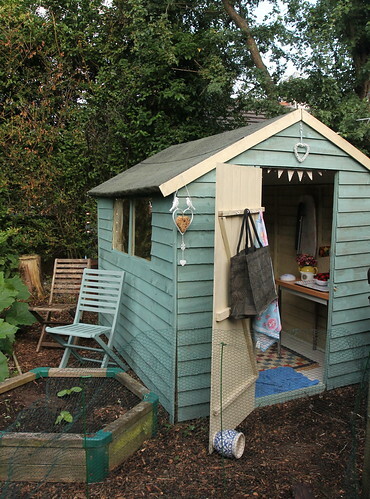 H wants one for himself in my garden one day, but his will be an Armenian shed and will be full of food with a little cubby for him to escape my madhouse! I love it - am well jel!! Gorgeous!! 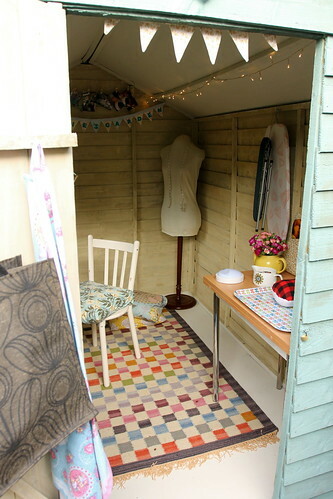 Happy Sewing and the odd daydreaming in peace and quiet!